Let’s start with some trivia. 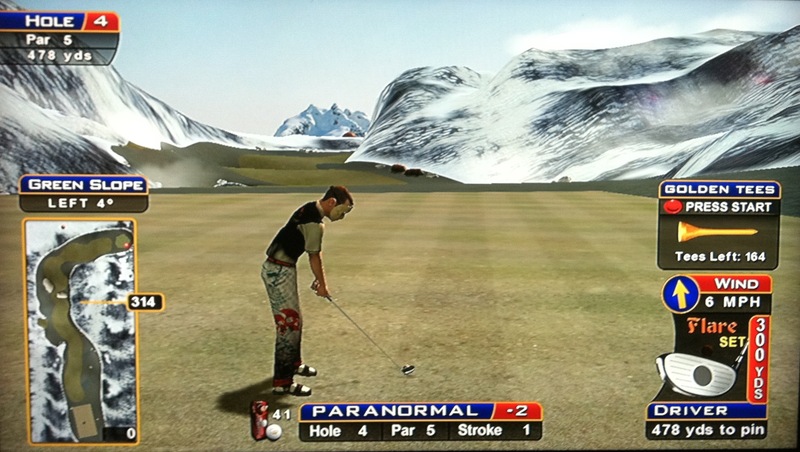 There have been 35 courses since the inception of Golden Tee LIVE back in 2005. How well do you know them? What are the only two courses to feature six par 3s and six par 5s? What is the only course to feature six never-drivable par 4s? Name the six courses where every par 4 has been driven. Which course can see a six-stroke swing in GT Par depending on the setup? Which two courses feature only three par 5s? Which three courses could set up for a GT Par of -32? Which two courses may only set up for a GT Par of -24? TRUE or FALSE: Every opening hole has been a par 4. TRUE or FALSE: There has never been a par 5 as hole #3. Name the only 3 courses to feature a par 4 as the 3rd hole. Which year of courses features a par 5 as the 4th hole on all 5 courses? Heading into the turn, only one course features a par 3 as the 9th hole. Name it. Heading back out, only two courses feature par 3s as the 10th hole. Name them. Similarly, only two courses feature par 5s as the 10th hole. Name them. Which course features three consecutive par 5s? Which year of courses features a par 5 as the 16th hole on all 5 courses? Which year of courses features a par 3 as the 17th hole on all 5 courses? Name the only 2 courses to feature a par 5 as the 18th hole. Name the only course to feature a par 4 finishing hole that is not always drivable. There is a year of courses where only two par 4s have never been driven. Name it. Which course features three par 5s that have been driven? Which three courses feature only two always-drivable par 4s? GT Par never varies on only 4 courses. Name them. Name the only 4 courses that feature always-drivable par 5s. How did you do? Open the sheet here to see the answers and the statistics behind the following analysis. Towards the bottom, you can see the average minimum and maximum GT Par for any given course (reminder: GT Par is the score you are expected to shoot without any fairway hole-outs). GT Par sets up between -28.7 and -26.7 on average for the LIVE courses, but it’s skewed by easier setups in the original LIVE year. The next tab is “Hole Par Stats”. It breaks down how many times each scoring classification applies to each of the 18 holes, and then also in percentage form at the bottom. What’s fascinating here is finding how many par 5s and long par 4s have actually been driven at one time or another! I’ve got pictures of each hole on the site, so check them out! Finally, there is “Stats Summary”. At the top, you can see how often each of the 18 holes sets up as a par 3, 4, or 5, sorted by the percentage. Below breaks it down by driving category, also sorted. HOLE #1: A long, flat, undrivable par 4. HOLE #2: A dogleg par 4 that’s only drivable in extremely rare conditions. HOLE #3: An easy par 3. HOLE #4: An easy par 5. HOLE #5: A challenging but always drivable par 4. HOLE #6: A par 4 that’s only rarely drivable with a great setup. HOLE #7: Another easy par 3. HOLE #8: A bit more challenging par 5. HOLE #9: A par 4 that’s sometimes drivable depending on the setup. HOLE #10: A tough, never drivable par 4. HOLE #11: A tough, never drivable par 4. 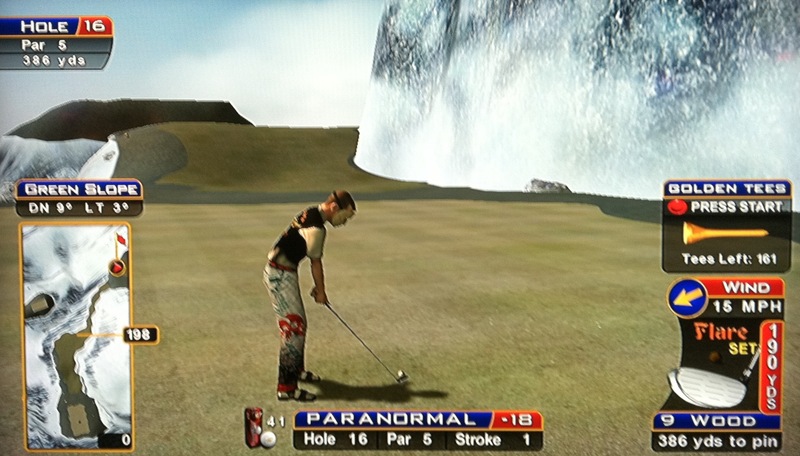 HOLE #12: A moderate par 3. 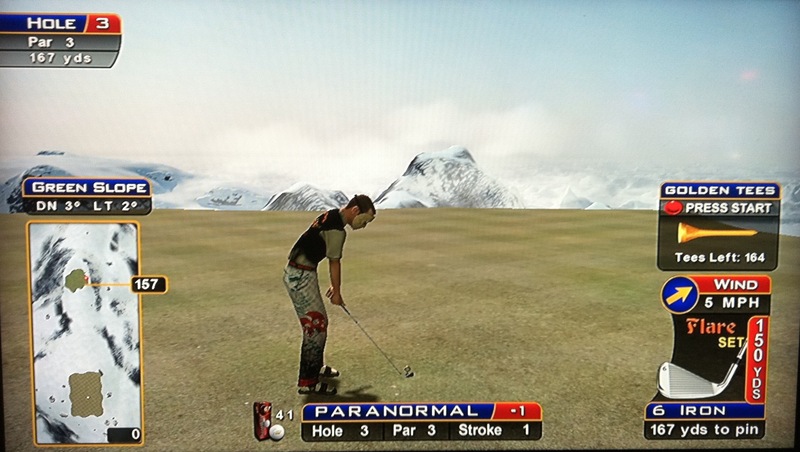 HOLE #13: A challenging par 5. HOLE #14: A very challenging but always drivable par 4. HOLE #15: A very challenging but always drivable par 4. 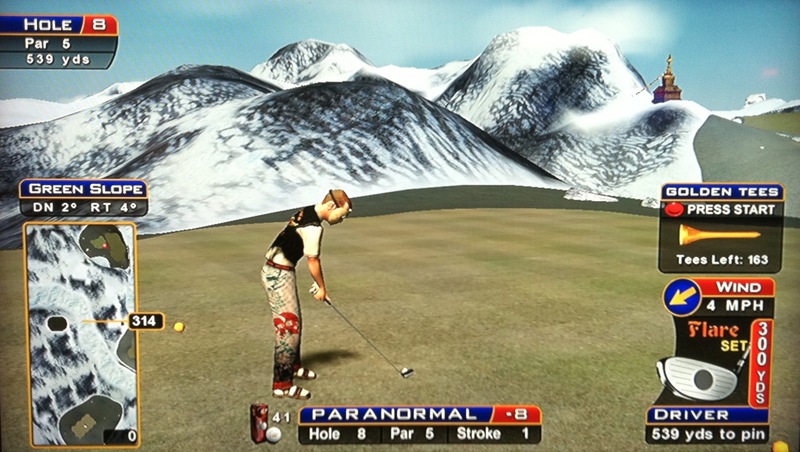 HOLE #16: A very challenging par 5. HOLE #17: A very difficult par 3. HOLE #18: A very challenging but always drivable par 4. If you play it clean, you’ll end up between a -26 and -28! Here is the official preview of the Mt Everest, Nepal course. 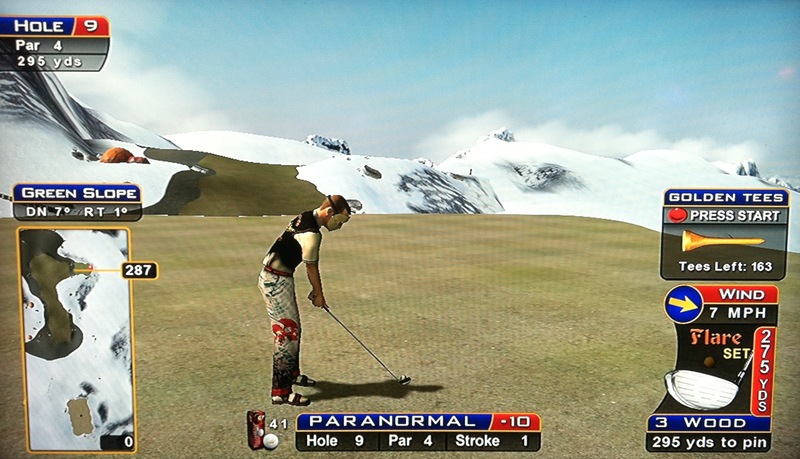 This is currently being updated with tips, tricks, and information related to the 2012 Golden Tee course Tundra Peak! Check out the hole-by-hole breakdowns and example hole-outs as I partner up with the Golden Tee community to give you the edge you need to beat your friends! 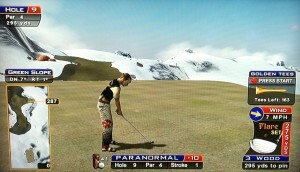 Although intimidating, Tundra Peak is voted by many to be the 2nd easiest course in 2012, although some rank it tougher. I think that just shows how difficult the courses are this year! With experience, most players should be able to score better here than on most other courses. Flares and Hurtles are the most common selection on this course, and you’ll probably want them with many of these uphill shots! Here is the official preview of the Tusayan, Arizona course. This post is currently being updated with tips, tricks, and information related to the 2012 Golden Tee course Grand Canyon! Check out the hole-by-hole breakdowns and example hole-outs as I partner up with the Golden Tee community to give you the edge you need to beat your friends! Grand Canyon is voted by many to be the 3rd hardest course in 2012, although some rank it harder and some easier. 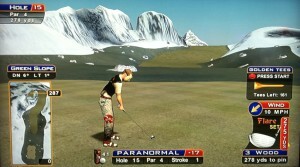 It has many eagle opportunities but also many potential blow-up holes and tough setups that can make for a rough round! Most players use the Flares and Hurtles on this course, although the Hawks can benefit us amateur players more here. You might save more strokes from the low-lofted hybrids than you’d gain from the one or two times you might need a 7-wood or 9-wood here, so see what works best for you! From 2012 back to 1989. A King dubbed three Royal with his mighty hand. While a Falcon and Kiwi flew along as their guests. A Scorpion and Rattlesnake slither at your feet. But a Coyote and Grizzly should bring greater fear. These Greens are Painted with color in mind. Don’t forget we had Indigo too. While Cedar, Cypress, and Maple await. Arbor Day loves this Woodland view. Both Rustic and Mystic in their gleam. Bayous and Swamps kick off this marsh. Try dodging the Sea, 3 Creeks, and 3 Lakes! 5 Springs and a Falls – your balls need a savin’! And 3 Bays will have you and your game in a quarrel. Tundra and Glacier, it’s downright chilly. A Mound and 3 Hills is where you’ll be led. A Rock and a Sapphire help complete your repent. There was also a Gorge as deep as can be. Where you’ll find Sunny, Shadow, or Misty. Hungry for a bite to eat? Coconut and Cu-Cumber makes a great treat! The Savannah is Dusty to challenge your hands. Where Balmoral Castle and Waterford shine. And two Links courses are never a bore. Heather, Bonnie, and Bella will cheer! Of the Horizon, even Toscana, where your gal first kissed ya. A Grove and 2 Acres make the scenery grand. While a Glen and a Hollow show off their stuff. All could make permanent habitats. A Farm and 2 Ranches may leave you pale. 3 Pointes may have you Whispering swear words. Oh what might we see in 2013? 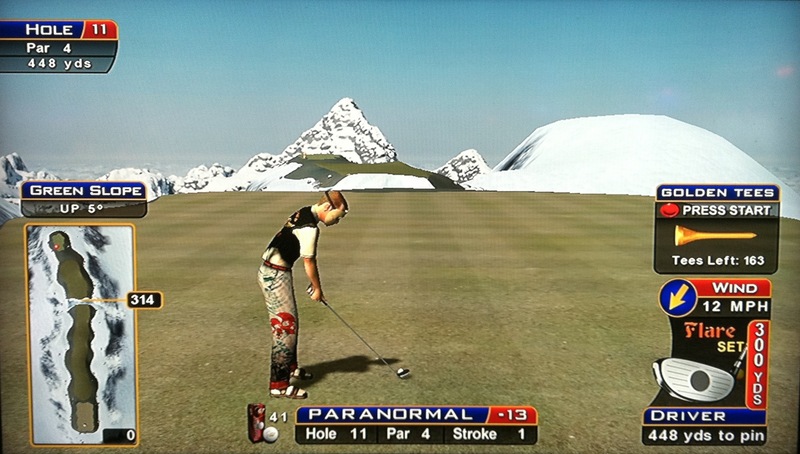 CLICK HERE to view the complete Golden Tee Course History! Excitement for Golden Tee 2012! 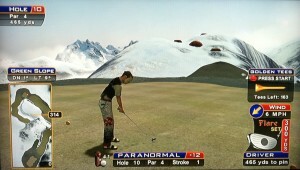 Golden Tee 2012 is here! 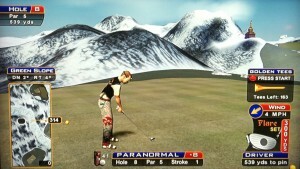 Check out the 2012 Courses category for more on each course, but this article will focus on what’s new in the upcoming release! First, we know that we now have a third option for ball spin. We know how to use backspin and roll, but now we’ve been given a third tool to help us master approach shots into the green, and that’s BITE. 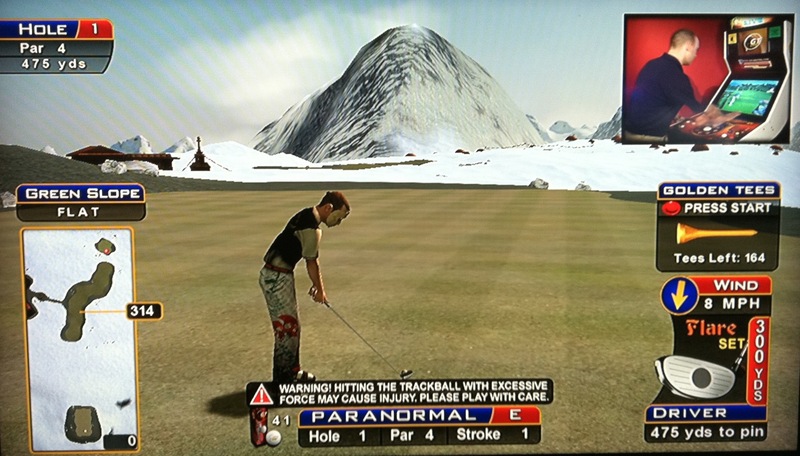 Bite essentially causes your ball to stop and settle once it hits the ground. This can be incredibly useful on tough, hard-sloping greens where backspin and roll would otherwise not give you a chance to stick it close. Click here to read more about bite. Next, we know there will be new club sets. We’ve already seen the “Thor” and “Peregrine” sets featured in the previews, and there are surely more to come. It will be a while before we know what clubs are featured in these sets and what clubs are best to use for each of the new courses! 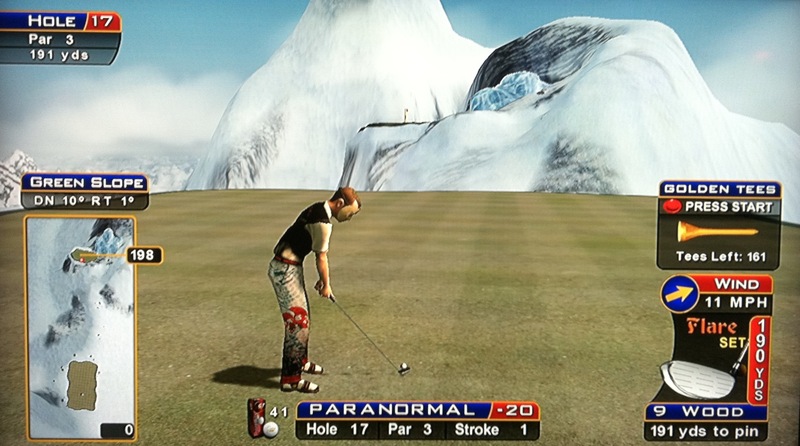 The next piece of info dropped is that the penalties for going water or OB off the tee when trying to reach the green, especially on par 4s, will be just like real golf — you’ll be put back on the tee! It will make you think twice before being aggressive, or it will at least cause you to bail out to a safe spot. 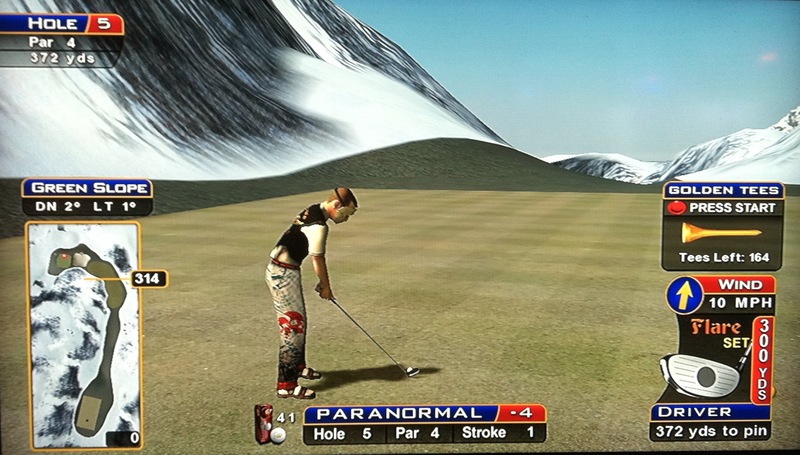 GTF has paired up with a generous member of the GT community to bring you a demo video of all 90 holes in Golden Tee 2012! Check out the hole-by-hole posts for each course to see a demo of each hole. Huge spoiler! And as if 5 new courses weren’t enough, Golden Tee has announced that all 35 Live courses, going back to the 2006 edition, will be available for you to play every time you start up a new game! 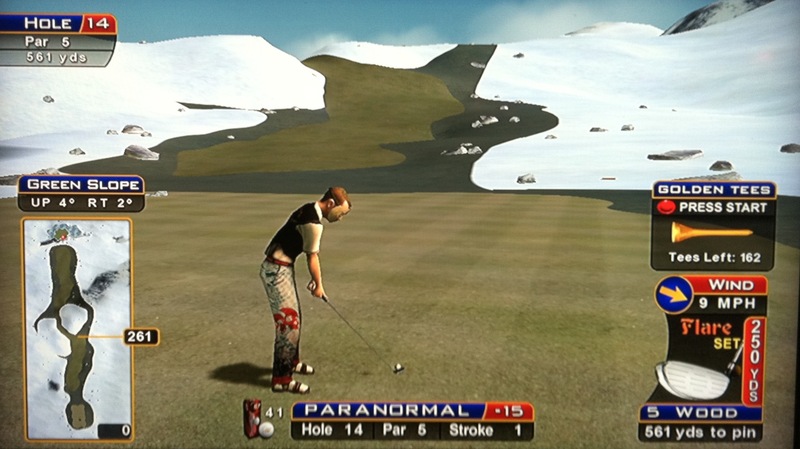 In prior years, the vendor chose which classic courses were available for play, and you only got 5 of them. Now you get them all! To many, you’ll get to experience some of the older courses for the first time, which is very exciting! Enjoy one of the few flat holes on this course! Lay up anywhere and bring it in for birdie. Here’s an example hole-out. It’s a ways downhill, so compensate a bit extra for the elevation and wind. Here’s an example hole-out. Just lay back short of the sand for your approach shot — here’s an example hole-out. Even if you do carry into the sand, you should still be able to loft a shot into the green. And here’s a hole-out after a long drive out to the second part of the fairway. Similar to hole #3 but a different distance. Again, it’s a ways downhill, so compensate a bit extra for the elevation and wind. Here’s an example hole-out. It’s all about distance control here — you’ll be shooting straight at this green with backspin or bite. Here’s a great 4-wood dunk to a front pin, and here’s a perfect 3-wood hole-out to a back pin. It doesn’t matter much which way you choose here, so let the wind decide for you — pick whatever side gives you the easiest approach shot with or against the wind. A high tee may help your distance to be safe. Here’s a hole-out from the left fairway, and here’s a hole-out from the right fairway. With a great tee and wind combination, you actually might be able to get this one close enough to the green for a short chip, so keep that in mind too! With a great tee box and strong tailwind, you may be able to high-tee this one to the green! Otherwise, just lay up a ways short of the icy divide to give yourself a 7-wood or 9-wood loft shot up the hill on your approach. Here’s an example hole-out. Use your loft and carry over the ice to the green. With a back-right pin, the icy mound can serve as a nice backstop! You can also use the ice to help bounce forward if you end up short, although this one got lucky! Don’t have a high-lofted club? Just run it into the mountain and let gravity and ice do the work! 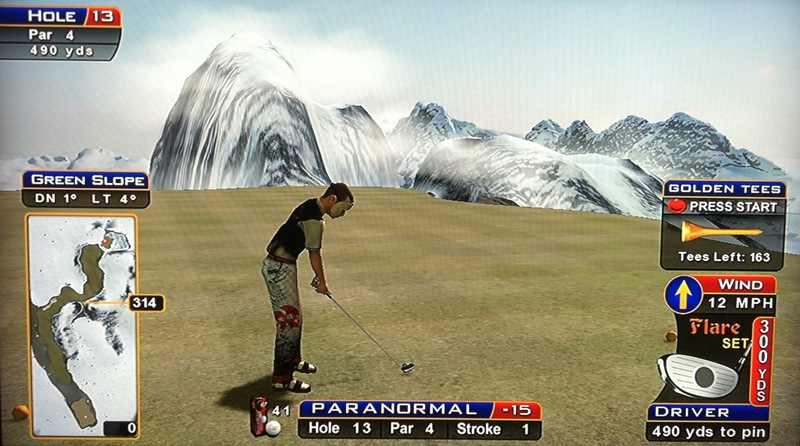 The safest play, and only play in my opinion, is to take your shot straight over the mountains ahead to get to the second part of the fairway — use a high tee if it will help you carry far enough. You can still lay back left for a longer approach shot — here’s a hole-out from there. Take a high-teed 3-wood straight over the snow mound on the left, aiming to land in the sliver of fairway heading down. If you’re on point, you’ll roll on down to safety for your approach. Here’s a hole-out after a mammoth drive. If you do head right or try a cut shot that catches the hill, it just might ramp over! It appears as if you’ll have to try to thread the gap between the two mountains if you want a shot at this green (3/4-wood with backspin is ideal) — and this is the best case with a left pin. But, in most cases, you can go over it — the problem may lie in getting the ball to stop after you get over. 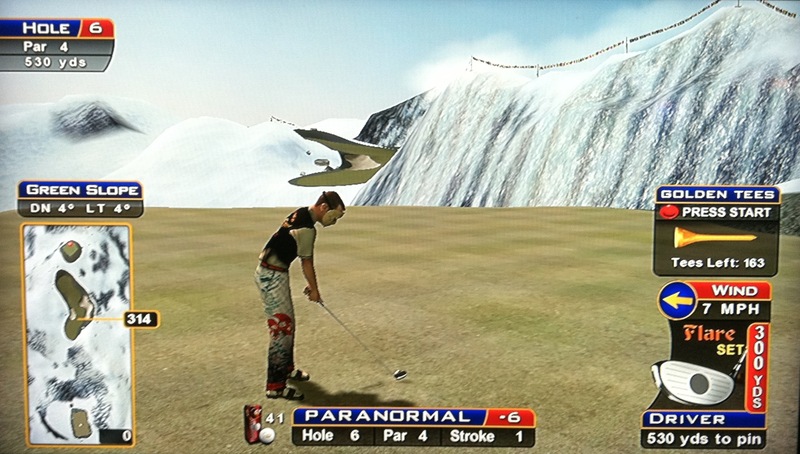 There are setups where a high-teed 5-wood (or 4-wood) can actually get over the mountain, or at least help cut the corner! 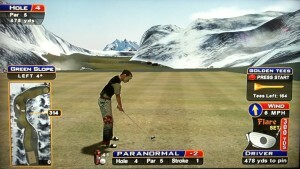 Of course, distance control is still important so you don’t keep flying over the green — this shot is tough! Recognize that there is more green to the right, so if you can carry over the right side of the mountain, you may get your ball to stop on the right side of the green. Here’s a medium-teed 5-wood that just barely caught the top of the right mountain but carried forward and in! 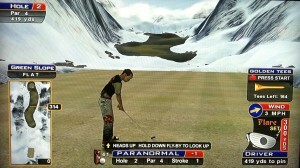 This medium-teed 4-wood almost carried the green, but a nice icy deflection shot it into the hole anyway! And this 3-wood wasn’t clean but bounced around and in. 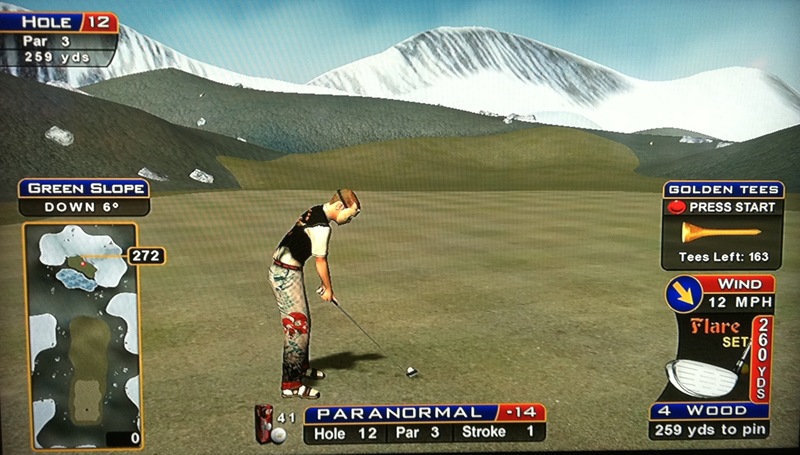 This 3-wood had no shot of getting over but hit the right spot on the mountain and found its way over…and in! Even if you have to hit a driver, there’s still hope — check out the incredible deflections on this one! 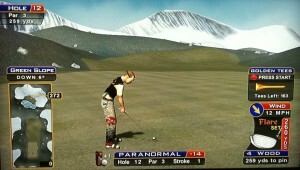 This rammed into the mountain but somehow shot up and into the gap, and eventually in the hole! Same thing here — amazing deflections. Lesson learned — if you can’t carry the mountain but you can get your ball to the gap in there, good things may happen! The island straight ahead is the common shortcut shot for an eagle chance but can be very tough to stick at times because it’s not completely flat, and backspin isn’t as effective in the frozen tundra. It’s elevated too, so consider a high tee and/or hit it a bit more firmly. Here’s a solid tip — if you have an outwind, just thumb a driver into the hill with backspin. If you’re in the front of the box, tee it low, and if you’re in the back of the box, just thumb it without a tee. It should plop up onto the patch nicely, taking the wind out of play. 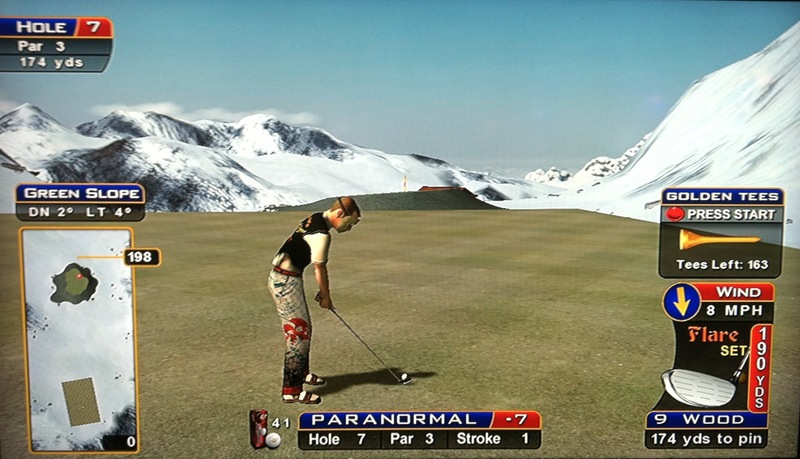 On your approach shot from here, you can ramp up the ice in front of the green if you have to use a driver, so keep that in mind as an option that could help! This 3-wood also ramped up the hill to a back right pin. Here’s a great 3-wood bite shot to a back pin. And this one played a little cut shot into the icy slope so it bounced up beautifully and in! Another option is to lay short straight ahead in the fairway and bring in a big A1 around the corner into the green. Finally, you can hit an A1 driver or 3-wood off the tee to try to stick the narrow strip around the corner. This one actually carried all the way around and barely up for a great approach shot! In addition, you can try to ram this shot into the snow as it comes around. If you play it just right, it will stick, and you can have an easy 9-wood in from there! If you miss any of these shots, you still get a drop that allows a chance to hit your approach shot on the green and birdie the hole, so don’t be afraid to practice! Here’s a great hole-out to a tough back-left pin. And this deflection is amazingly lucky! Also, there’s a little ice gully to the right that can be fun to rattle around in — check out this amazing shot! Here’s another shot that got some crazy bounces before finding the cup. Here’s yet another wild one! And this one rode the icy edge all the way to the cup! If you happen to find snow up there, consider putting it back down to the gully — great things may happen!